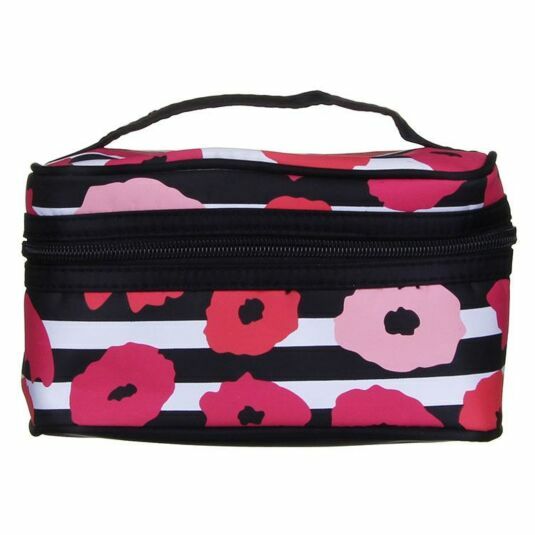 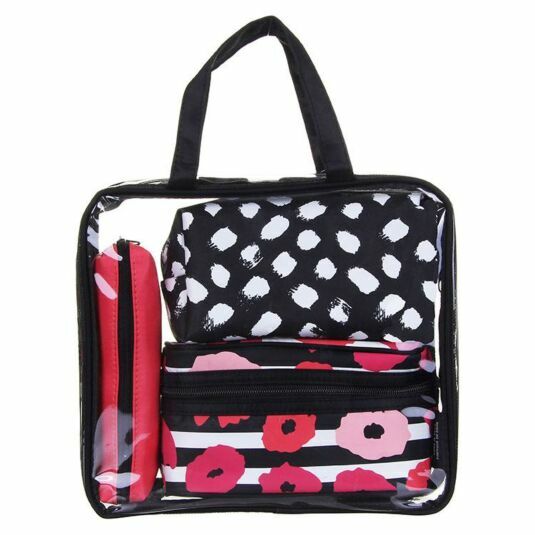 The largest bag features a striped background with pink, red and magenta poppy flowers, the second has a black background with white brush stroke marks, and the final pencil case shaped bag has a pink finish with red undertones. 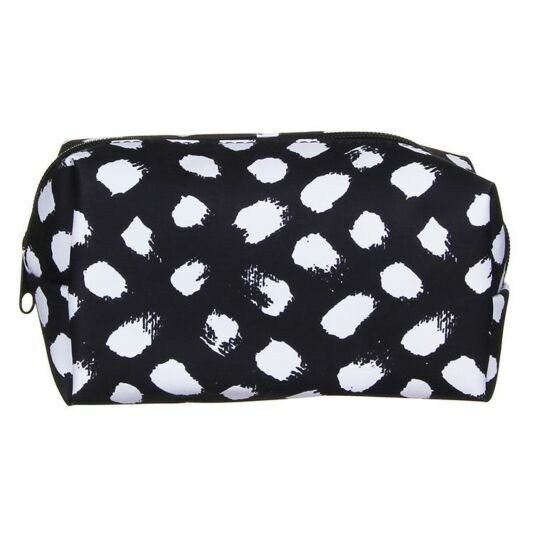 All of the bags are finished with a black zip fastening. 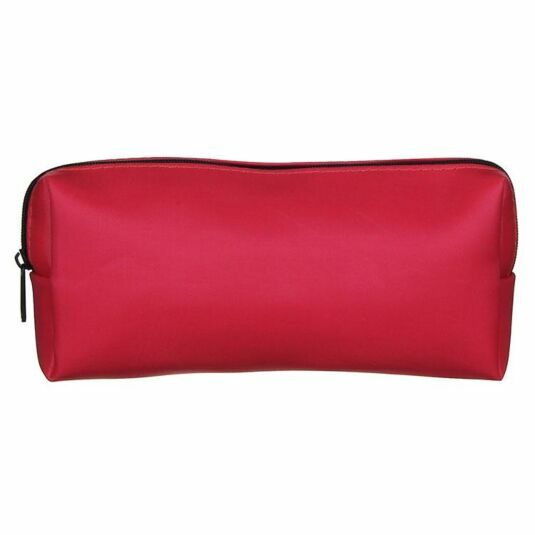 The outer bag measures 23cm x 26cm.